Born in Denmark, Mathias (who went by “Matt”) came to Canada when he was 22 years old and worked on farms across the Prairies until he reached the Fraser Valley. 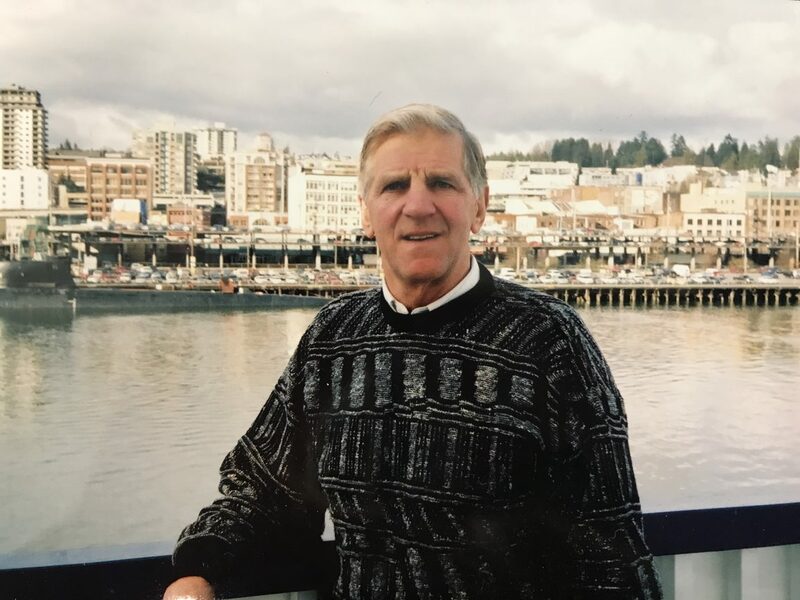 He began a career in mining on Vancouver Island before moving to Kamloops and working at Afton Mines until his retirement in the early 1990s. An active outdoorsman, Matt enjoyed a wide variety of sports and volunteered his time with many clubs and events. One of his many volunteer jobs included driving cancer patients to Kelowna for their treatments. Music and dancing were also an important part of his life. After being diagnosed with Parkinson’s, Matt moved from his home at Paul Lake to Kamloops where he was able to continue participating in many activities and sports that he had enjoyed over the years. He loved going to the Kamloops YMCA where he was a long-time member. Although he didn’t have any pets of his own, Matt was an animal lover and liked to drop off a donation at the local SPCA before the holidays every year – he called this his “Christmas shopping”. Matt chose to leave his entire estate to three charities that held special meaning to him: Royal Inland Hospital Foundation, BC SPCA and the YMCA of Canada. His good friends, Len and Heather Short and Judy Kinloch, described Matt as having a quiet, gentle soul. He lived a humble life, but through his generous nature has left a lasting legacy at Royal Inland Hospital that will be felt for years to come. For more information on making a bequest in your will to the Royal Inland Hospital Foundation, please click here to send a message to Alisa Coquet or give her a call at: 250-314-2836.